Having grown up in England’s northern city of Sheffield, Elizabeth became the black sheep of the family when she chose to pursue acting in lieu of a “proper job.” She studied at Birmingham University followed by East 15 Acting School, London and soon thereafter moved to Los Angeles. Within 6 weeks of arriving, she booked a leading role in J.J. Abrams and Mark Schwahn’s CW pilot Shelter. 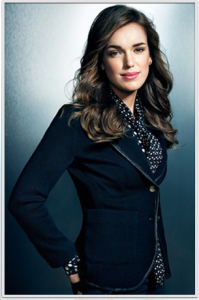 Her first year culminated with being offered the role of Agent Jemma Simmons in Marvel’s Agents of S.H.I.E.L.D. Henstridge recently voiced the role of the Alien Princess in Disney XD’s Penn Zero: Part-Time Hero. In 2016, she will star in the New Line period Thriller The Wolves At The Door, helmed by Annabelle director John Leonetti.